Local groups with their own community buildings are able to apply to the Power Partners Fund for grants of up to £20,000 to make energy efficiency improvements. 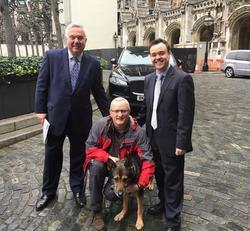 Stevenage MP, Stephen McPartland, said, "I know there are groups using their own buildings which could benefit from these grants to improve energy efficiency to give a better environment and help to save money. The Power Partners Fund can help make a difference, so if your group has a suitable project it could be the opportunity to turn it into reality." 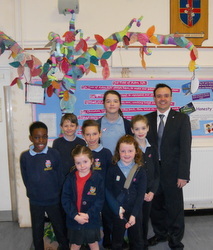 Following elections in each class, the new School Councillors at Aston St Mary's Church of England Primary School were presented with their badges by Stephen McPartland, Member of Parliament for Stevenage, whose constituency includes Aston. 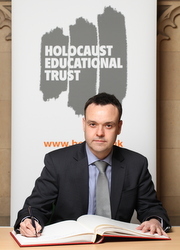 Stephen McPartland MP said, "I was pleased to meet the new school councillors and present them with their badges. I look forward to hearing more about their work over the rest of the school year as representatives of their classes." Head teacher, Julie Winwood, added, "Our new school councillors were delighted to be officially welcomed into our School Council and presented with their badges by our MP, Stephen McPartland. They are excited to begin their work to continue to ensure our pupils have a voice on what happens at Aston St Mary's School."